The last couple of years have been pretty hard on HTC. After reporting growth for nearly two straight years, Q1 2013 was the worst the company has ever had, managing to net only US$2.8 million. Credit to HTC CEO Peter Chou though, even though HTC’s stock price has dropped 80% over the past 18 months, he has seemingly never lost faith in his company, even reportedly staking his job on his company’s sales. The HTC One has done a lot to regain confidence in the Taiwanese company though, with 5 million handsets having been sold as of last month. The HTC is a truly awesome phone, and marks a return to the HTC of old – the HTC that brought us the HTC Desire and the Nexus One, two of the phones that helped define the Android that we know today. It does seem that HTC finally understand the point of investing in marketing, reportedly signing Robert Downey Jr to help promote the HTC One, and running a series of television commercials highlighting Blinkfeed and the Boomsound speakers on the flagship phone. If HTC have truly learned from their past mistakes, and are able to follow up the One with a worthy successor next year, then I think that Chou’s hopes are a realistic goal for the company. What do you think? Is 15% market share a realistic estimate for HTC, or do you still think they’re done for? What might help them even further is a more solid and consistent support in upgrading their older handsets when new handsets come out. 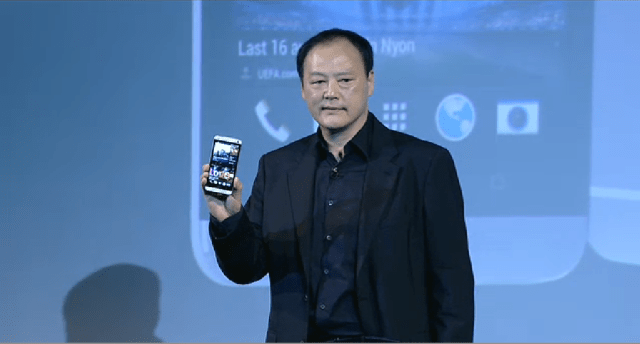 Samsung are still supporting the galaxy S II with Jellybean. I love HTC phones, but they need to change a little more than getting Robert Downey Jr on their side. agreed. I personally use HTC ONE now and used few more HTC devices in the past but they just cannot rival Samsung. HTC always blame on the marketing but they should really focus on the service, build quality control, and software updates.